NOTE: I included a video of a 13/16/24 Legacy Mahogany with a snare. Same shells. Of course, the wood hoops create a more organic sound for the toms and snare on the Van Buren kit, but this video is a great one for Legacy sound. This is the NAMM show set. Buy it now and it ships immediately once Ludwig sends it to me after taking catalog pics. Very limited edition with wood hoops with WMP inlay on all drums. Wood hoops make those warm mahogany shells sound even more ‘organic’ This set is 9x13, 16x16, 16x18, 14x24, 6.5x14. 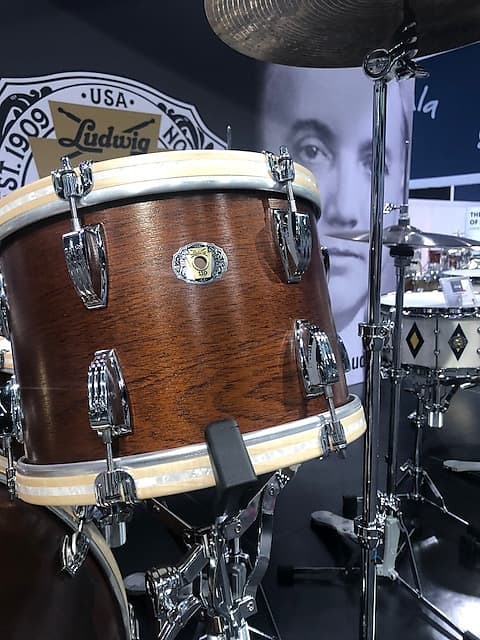 The Legacy Mahogany Van Buren Series harkens back to the 1940s, with a slightly different take on the finish “that celebrates the likeness of Ludwig’s first ever drum badge and Chicago showroom,” according to Ludwig. 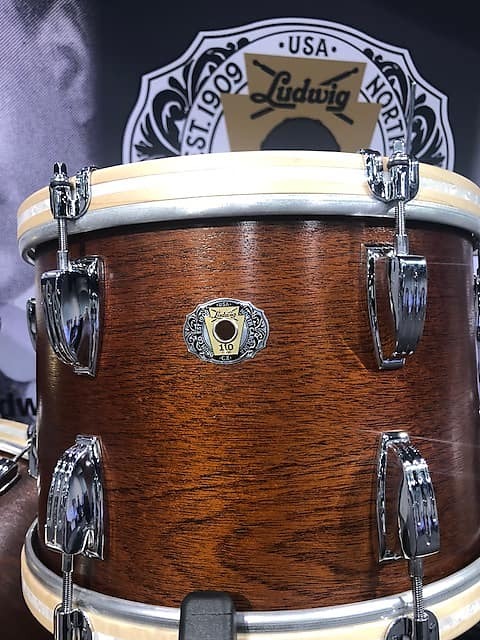 The mahogany-stained shells are also made with the three-ply shell design outlined above, as well as the same 30-degree, round over bearing edge. 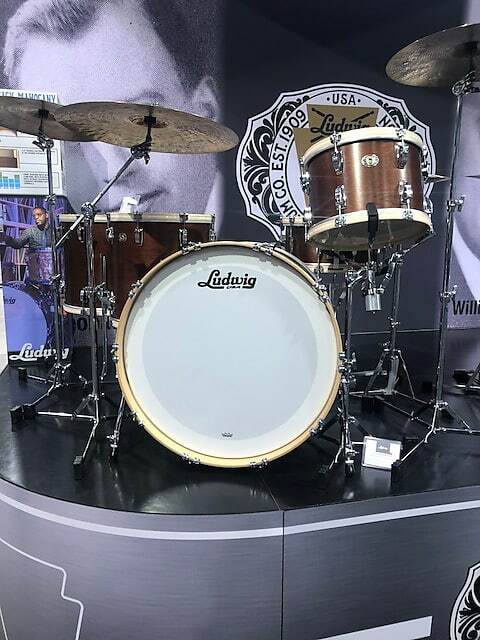 Ludwig calls the center poplar ply as a key component to the “war, rich, low-end ‘woody’ tones” drummers associate with classic Ludwig tone. 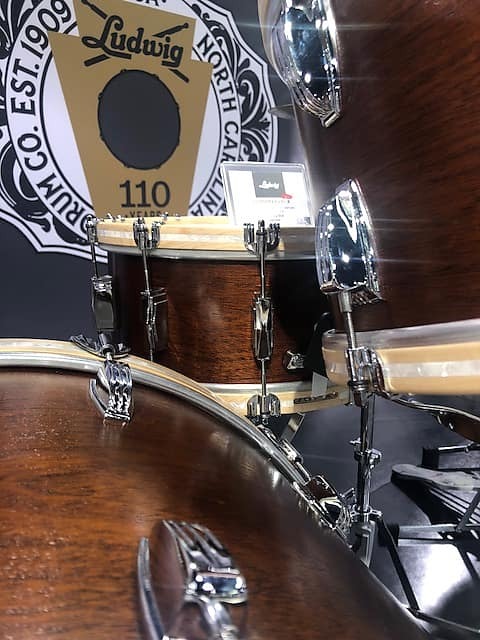 Unlike the Legacy Mahogany Diamond Flash Inlay Series, which feature metal hoops, the Legacy Mahogany Van Buren drums have maple hoops with an iridescent inlaid stripe. The drums are limited to just one year of production. The “Pro Beat” set includes sizes: 14x24 bass drum, 16x16 floor tom, and a 9x13 tom. A 6.5x14 snare drum is sold separately, while a 16x18 floor tom is also available. NOTE, THE SNARE AND THE 16x18 ARE INCLUDED HERE. 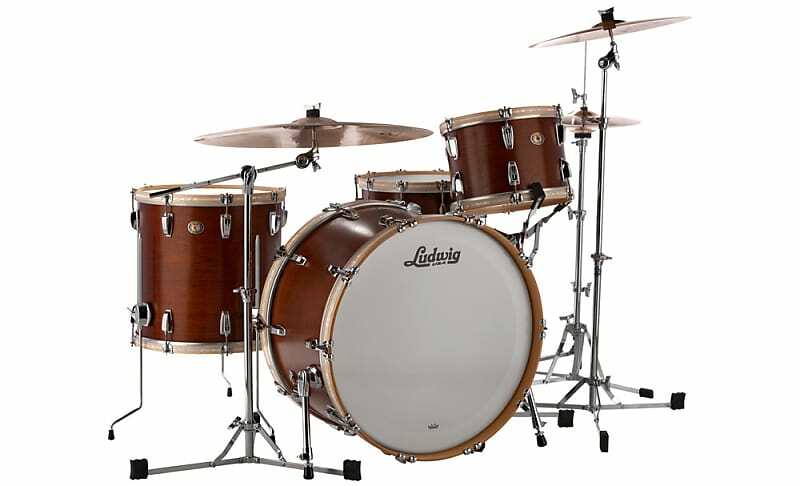 The Legacy Mahogany Van Buren is named after Ludwig’s first showroom in Chicago and comes in Pro Beat sizes (24,13,16). 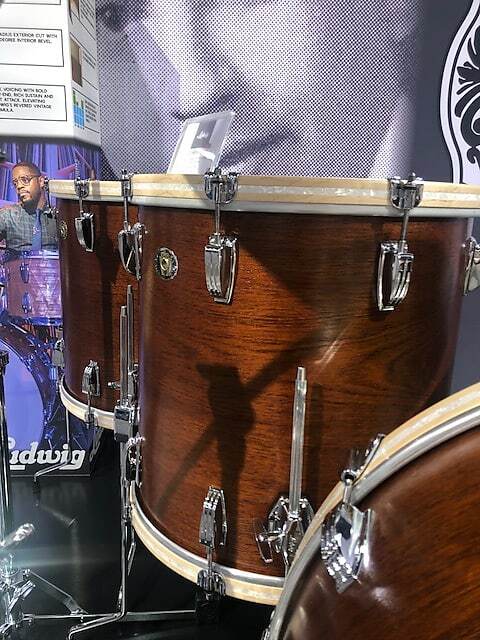 The new natural mahogany finish comes complete with maple wood hoops and inlay. An additional 18” floor tom and 14×6.5” snare drum will also be available. Based on purchase price of $5,750 at 10% APR for 12 months. Excludes tax and shipping fees, to be calculated at checkout. Rates range from 10-30% APR. Choose from 3, 6, or 12 monthly payments.